Early Bitcoin casino pioneers had an extra challenge when trying to promote growth: it wasn’t easy, especially for newbies, to obtain Bitcoin to play with. Faucets fixed that problem: new players could get free amounts of coin to “test” the games. If they liked it, they might be convinced to buy some Bitcoin and deposit bigger amounts to bet. The lure of “free” gambling money as well as the audacious luck of punters who won small fortunes from faucet funds really helped the early growth of many Bitcoin casinos. Today, many newer Bitcoin sites don’t have a faucet, while some older ones have either done away with it or reduced the amounts dispensed. However, there are still plenty of others that still offer faucets. Though the amounts tend to be modest, with most sites offering games with almost 10,000x payouts, it’s possible to turn 100 satoshi into 0.01 BTC! Like the thrill of betting for real money but still hesitant about taking the risk with your own cash? Below is our non-definitive list of 10 Bitcoin casinos with faucets (accurate at time of writing). When PrimeDice launched in 2013, it was easily one of the largest faucets around, dispensing 0.1mBTC (10,000 satoshi) every minute. Naturally, abuse ensued and that didn’t last long. Today, the faucet gives out 150 satoshi every 60 seconds if you have 0 balance. If you wager more than 10 BTC, it does increase to just over 2,000, though we doubt it would matter much to anyone who’s had the chance to wager 10 BTC! Easily one of the leanest Bitcoin gambling sites, with a dice game and chat window all on one page, 999Dice has a free faucet that dispenses BTC, DOGE, LTC and ETH every 2.5 minutes if your balance is below 0.00000999 BTC, 0.09999999 Doge, 0.00009999 LTC, 0.00009999 ETH respectively. You’ll reach the limit claiming ten times. You can always continue claiming if you go bust. One of several Bitcoin casinos that has a faucet reward that increases with players’ levels, that are gained by wagering. Starting at 300 satoshi for the new player with 0 balance and claimable 15 times daily, this gradually increases all the way up to 5,000 satoshi for a Level 50 Legendary Player with unlimited claims. It’s not a terribly bad system and seems easy enough to level up even on faucet, at least to get to Level 5 which lets you claim 1,250 satoshi 25 times a day. 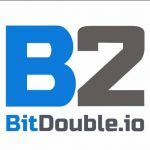 OK, we know this is a list of Bitcoin casinos with faucets but while this site is advertised as a faucet (in fact, one of the oldest around), it also has a provably fair dice game, technically making it at least the equal of a Bitcoin dice site with a faucet and for that reason deserves a mention here. We give it a high rating as the faucet is claimable every hour with no minimum limit, disbursing a Bitcoin amount equal to a fixed USD value, depending on your roll. At time of writing, this means you get around 140 satoshi at the lowest roll and 0.14 BTC at the highest! Each claim also earns rewards and lottery entries. The reward points can be exchanged for gifts or BTC, while the lottery gives you a chance to win a serious amount of money (currently, the biggest of 15 weekly prizes is more than 2 BTC). DuckDice has a decent faucet that lets you claim every minute if you have zero balance for a maximum of 30 claims per 24 hours. You can claim for 4 different cryptos: BTC, ETH, LTC and DOGE. Starting at 0.0000025 BTC/0.00005 ETH/0.00075 LTC/12.5 DOGE, you can wager each currency to gain up to 4 levels, each one doubling the faucet claim amount. BitKong claims to have the best faucet and while this isn’t true, it certainly has one of the largest available to new players. You can claim 1,000 satoshi every hour from the get go if you have zero balance up to 50 times a day. Register with Facebook and you decrease waiting time to 10 minutes, while becoming eligible for bonus faucets: 3,000 satoshi every hour from Friday to Sunday and 5,000 satoshi per claim during a daily random “Funky Hour”. One of the larger faucets, PocketDice lets you claim 1,000 satoshi every hour when your balance is zero. Deposit your own money and you get to claim it every 10 minutes. Daily Rewards lets you speed up or multiply your faucet claims too. 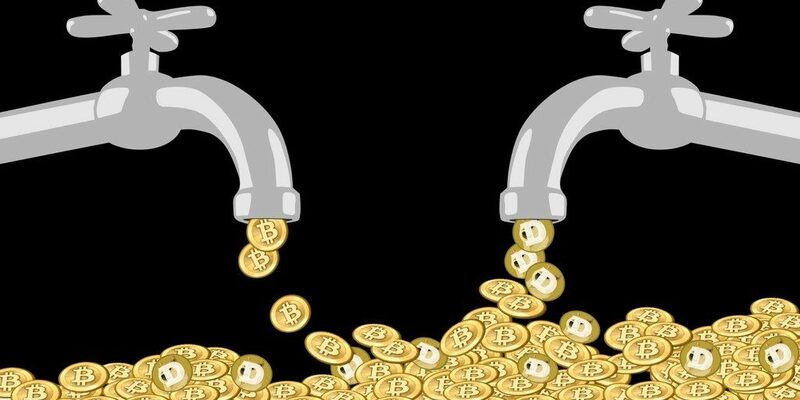 Crypto-Games has designed a faucet system that’s fair and generous to loyal players. As a newbie, you can claim 500 satoshi every 3 minutes when your balance is below a certain amount (close to zero) 10 times every 24 hours. This works the same for each of the other 8 currencies you can use there at rates equivalent to BTC. It may not seem like much, but you can gain levels by wagering, chatting, investing or seniority (account age). At level 30, you can claim a massive 20,500 satoshi 45 times every 24 hours, making this the largest possible faucet we know of. Each day, you can play a simple game with the FaucetBot at BitcoinRush, win 2 out of 3 maximum rounds and you get 0.1 mBTC or 10,000 satoshi! While only claimable once per day, there doesn’t seem to be a minimum limit. You can keep playing every day to claim this. On faucet strength alone, BitcoinRush gets our highest rating.